Norm is a professional environmental manager with over 15 years of experience in conservation, tourism, environmental and community relations. His career has realised the position of officer in charge of the oldest and one of the most exclusive game reserve’s in Africa (Hluhluwe Game Reserve), through to general manager of a tourism company in the luxury safari market based in Botswana and Zambia. 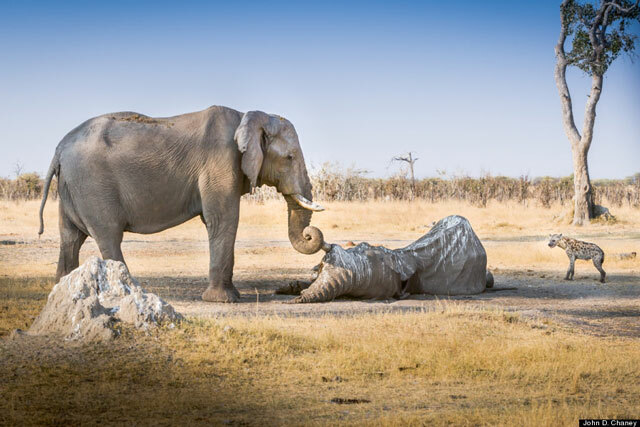 The observation of wild animals interacting with their deceased relatives has been widely observed in nature but can this behaviour be considered anthropomorphic?